Who can Apply: Those who completed 18 years of Age as on 1st January 2015 or before it. or those who like to clearly the mistakes or Change their old Photo. 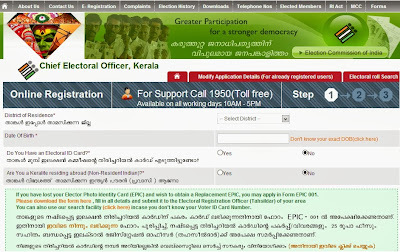 How to Register for Kerala Voters ID? Read the affidavit and confirm and click on Save. Booth Level Officer (BLO) will visit your house and verify your details. No need to go to taluk office like before. When the Card is issued BLO will bring it to the home of the electoral or it can be collected from the Taluk office. Applicant will be get confirmation SMS with the Registration Number, Name, (Booth Level Officer) BLO Contact details etc. 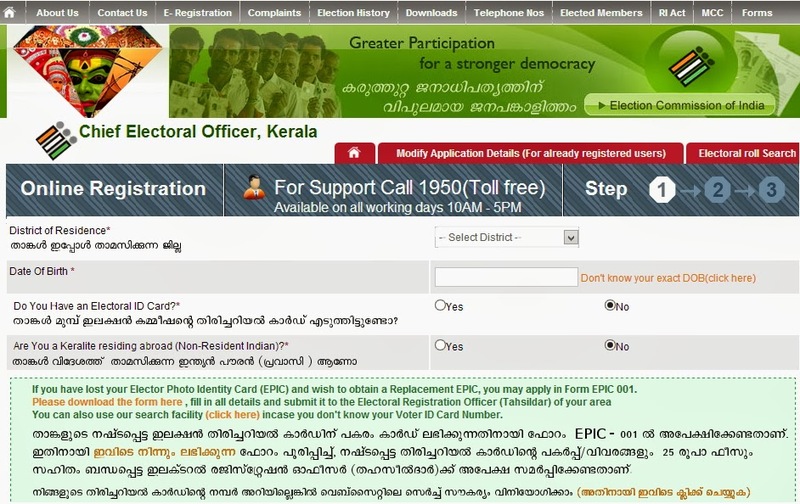 Voters ID application details can be modified by visiting the webpage http://www.ceo.kerala.gov.in/eRegistered.html and entering the Application Number or Mobile Number and Date of Birth and click on Edit Application Details.